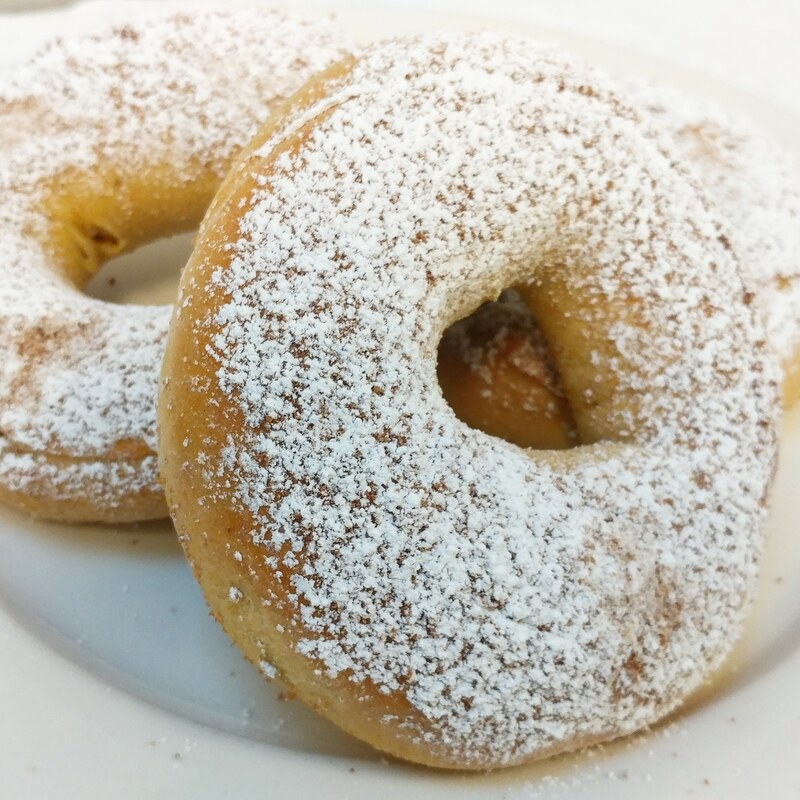 A&S Bagels, Inc. is a wholesaler and retailer of delicious New York bagels, bialys, muffins and more. 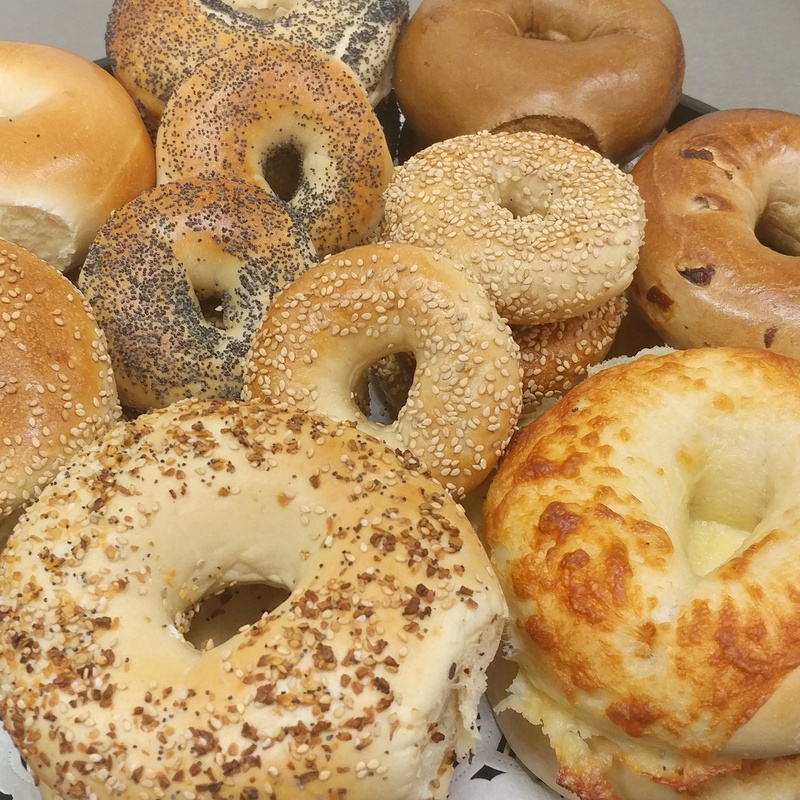 The Z-100 radio morning show (100.3 FM) chose A&S Bagels as Long Island's Best Bagel. 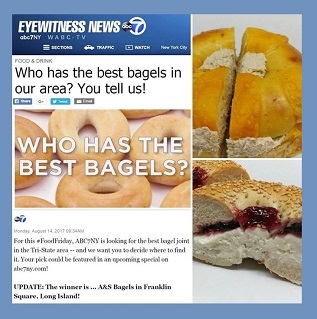 Our customers voted us "best bagel joint" on a poll taken by New York's ABC station. We have been recognized as a top 20 bagel store in the United States. Additionally, our bagels were featured on the CBS morning news, Fox 5, ABC Channel 7 NY, Newsday.com, News12.com, Long Island Pulse Magazine and Long Island Weekly. We also have been mentioned on the Hofstra University Radio Station and on the Howard Stern Show. 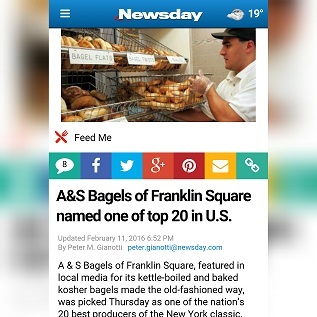 “A & S Bagels of Franklin Square, featured in local media for its kettle-boiled and baked kosher bagels made the old-fashioned way, was picked … as one of the nation’s 20 best producers of the New York classic.” Source: Gianotti, Peter, “A&S Bagels of Franklin Square named one of top 20 in U.S.” Newsday.com (February 11, 2016). 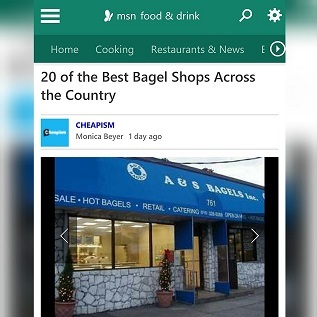 “A&S Bagels in Franklin Square made the list for top 20 best bagel shops across the country in a study conducted by MSN.com. 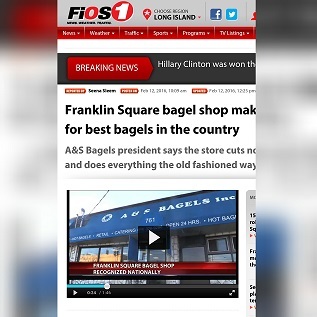 The 24/7 bagel shop on Hempstead Turnpike is making its presence known.” Source: Sleem, Seena, “Franklin Square bagel shop makes list for best bagels in the country.” FIOS1News.com (February 12, 2016). "A & S Bagels operates a 24/7 retail store where customers can stop in anytime and select from a huge variety of bagels..." Source: Beyer, Monica (Cheapism.com), “20 of the Best Bagel Shops Across the Country.” MSN.com (February 8, 2016). 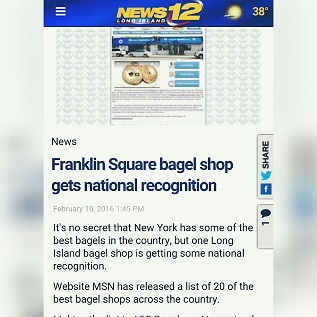 “It's no secret that New York has some of the best bagels in the country, but one Long Island bagel shop is getting some national recognition.” Source: “Franklin Square bagel shop gets national recognition.” NEWS12.com (February 10, 2016). In August 2017, our customers, fans, and supporters voted us "best bagel joint" via a facebook poll taken by New York's Channel 7 ABC. We are honored that our bagel store was chosen. Stop in anytime, we are open 24 hours a day, 7 days a week. 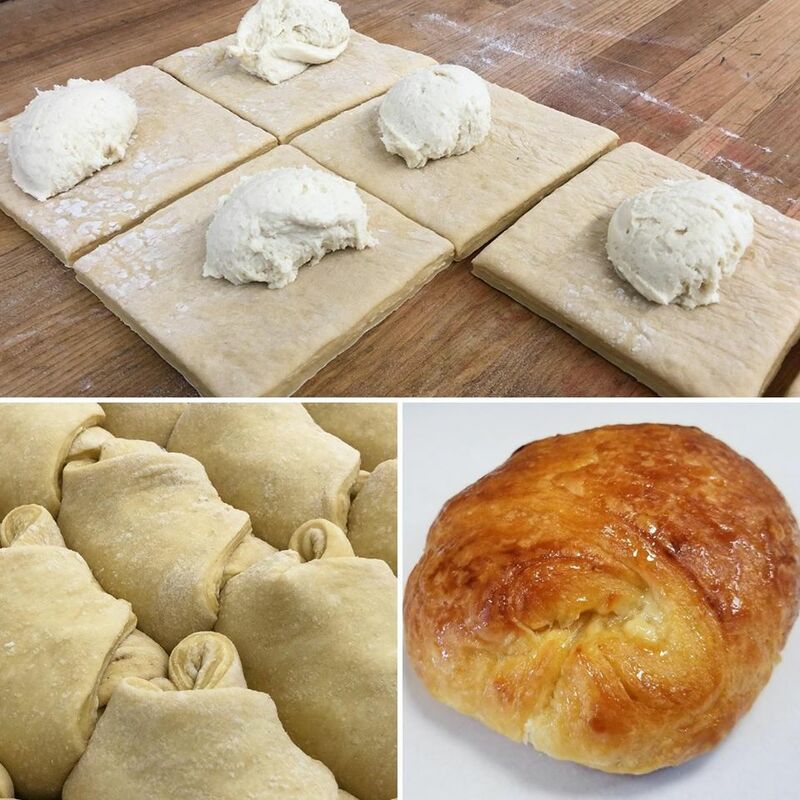 We make our bagels, cream cheese and danish from scratch on premises Our retail store is located at 761 Hempstead Turnpike in Franklin Square, Long Island, New York. The retail store is open 24 hours a day, 7 days a week. 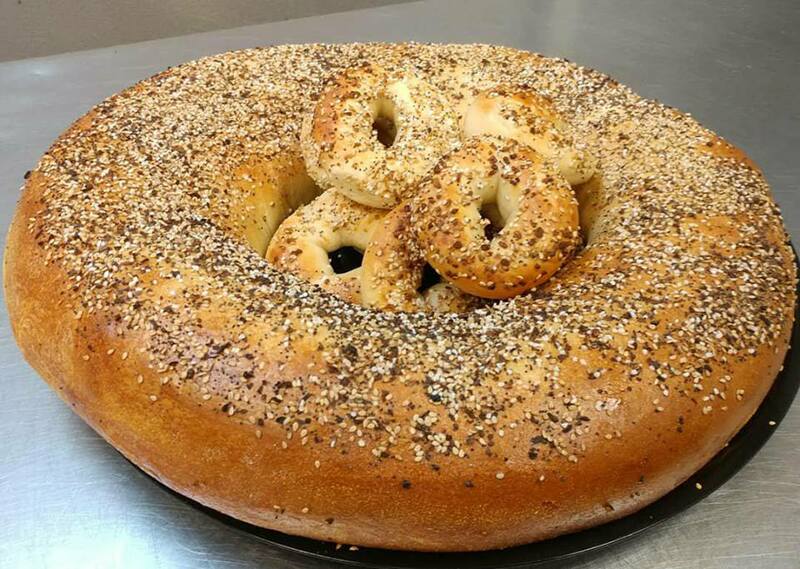 Our party bagel is a massive bagel that it is sure to be a hit at your next event or get-together. 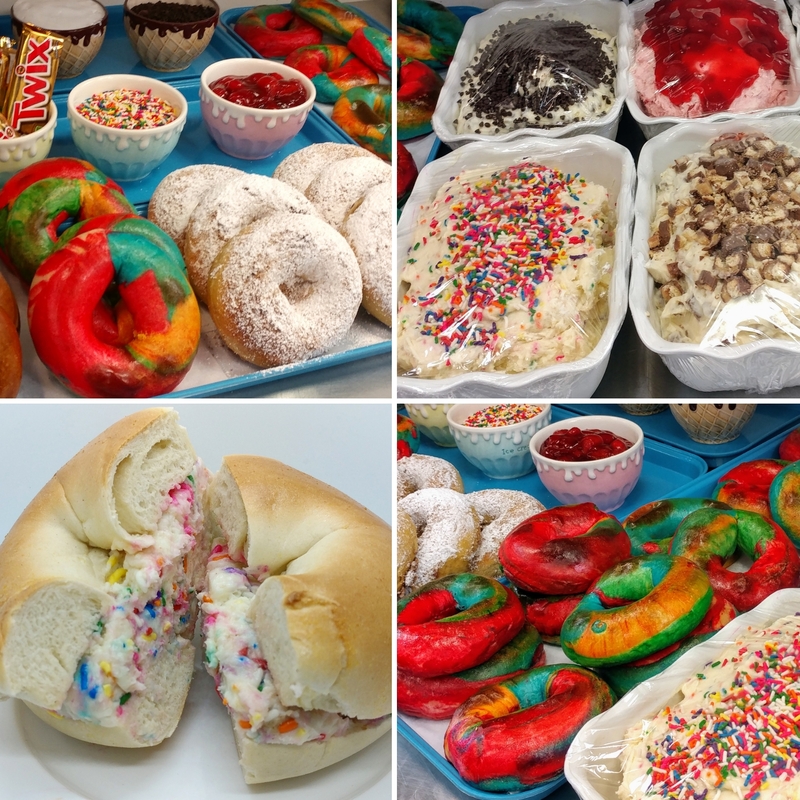 You can order your party bagel filled with cold-cuts, chicken cutlets, or even bacon, egg and cheese. All bagels produced at A&S Bagels are certified Kosher and Pareve by United Kosher Supervision. You can download the certificate in PDF format by clicking on the link.